We won second place as Top Window Coverings / Shutter Company! Thank you to everyone who shared their appreciation by voting this year! Greetings 3 Blind Mice Fans! I’m so excited to announce that we have been nominated for the Best in San Diego for the Window Coverings / Shutter Company category at the Union Tribune. 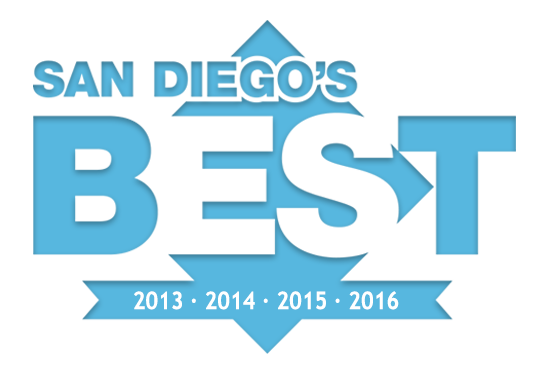 For the fourth year in a row, 3 Blind Mice has had the opportunity to be named the best in San Diego and we couldn’t do it without you! Last year we were named the Best Window Coverings company in San Diego! We need your help defending our title! Please visit the For The Home page and for the Window Coverings / Shutter Company category, vote for 3 Blind Mice! Our dedication to our customers and providing top-quality service is the only reason we are have this opportunity. As customers, you’ve experience the way we do business and how hard we work to satisfy your needs. Show your appreciation for the products and great customer service we offered you by going to vote us! I am so proud of the amazing team I have been fortunate enough to create. I would like to dedicate this nomination to all the staff who put in those long days, last minute consultations, and striving to make our company better. Voting ends June 27, but you can vote everyday until then! Thank you for taking the time to vote and show your appreciation for what we do.